Laughing is good cardio, right? 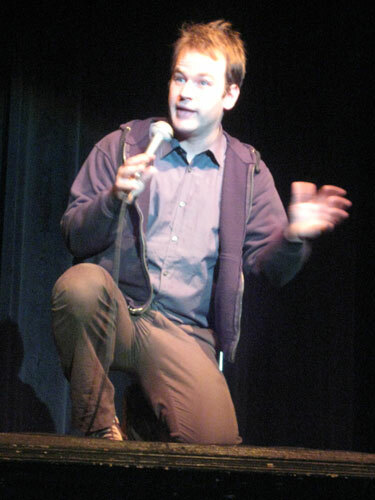 Last week I saw comedian Mike Birbiglia, and he was hilarious. Even the pictures I took of him during the show (without a flash, as instructed by the scary ushers with their bar code scanner machines at the front door) look pretty funny. 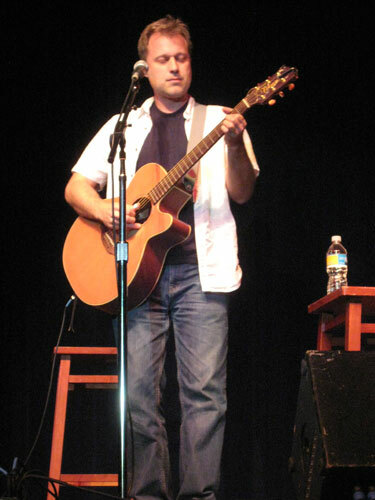 I first heard Mike perform on NPR, on shows like This American Life, so I was happy to hear he was coming to Indy. The seats I had for this show were the most awesome seats I’ve had for any show, even including that time I played flute in the pit for Fiddler on the Roof. I follow Mike Birbiglia on Twitter, which is where I was alerted to the day and time tickets would go on sale for his show. So, at 10:00am on that day, I sat at my computer refreshing the order screen every minute until I was able to get seats. They were front row center. Woot! That is what you get for compulsively refreshing a browser early in the morning. The show was held in The Egyptian Room of the Murat Theatre, which was a little odd for me because I had just come from The King Tut exhibit at the Children’s Museum. I went form real Egypt to fake Egypt, but I did not walk like an Egyptian. Mike’s opening act was Henry Phillips, who was also quite hilarious. His routine revolves around humorous songs, and at the end of the show Mike came out with his guitar and played a bit too. I think laughing is great cardio, great stress relief, great just make you feel better in general. 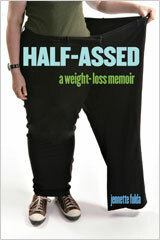 This is serious business, this weight-loss journey that so many of us are on, but there’s no reason that we can’t lighten up a bit while we’re lightening up a bit. Sounds like a lot of fun! I love (good) comedians! in my next life I’d like to be a standup comic and watching live (good) comedy is one of my favorite things to do. 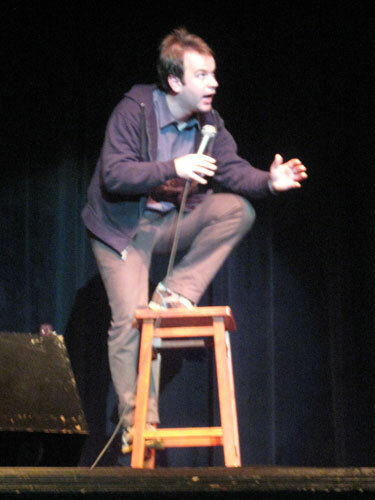 You saw Birbigs!!! I love him! 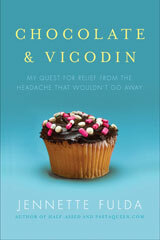 i’ve seen him two or three times in St. Louis, and follow his blog/er, secret public journal..:-). Did you get to see him tell the story about scaring bears??? I love that one. Thanks for the post … I love to laugh and finding a good comedian is always such a blast!!! Way to go! I’ve never seen Mike, but I listen to him on the radio, usually Bob and Tom in hte mornings. Really gets my day off to a great, start, laughing with him.